Yes Hotel is part of a successful hotel and bed and breakfast group that caters in bringing you the best of Rome hospitality at affordable prices. Apart from our vast variety of accommodation we also have an online travel agency that enables you to book online with immediate confirmation all of the tours and excursions that you may wish to do whilst here in the eternal city. Booking in advance allows you to completely program your stay here in Rome before your arrival giving you more time to enjoy your stay once you have arrived. For a complete guide to all that we can offer consult our online travel agency where you may also find the possibility to book your airport transfer. 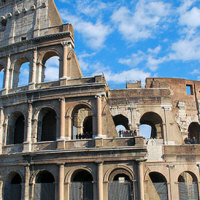 We have included a small selection of the type of tours that you could take whilst here in Rome. There are tours to suit everyone from walking, shuttle and bus trips all at competitive rates. The tour by double decker bus is definitely the hottest tour , also because it offers flexibility. You will be able to hop on and off at the 9 following stops : Termini Station close to the Yes Hotel Rome Piazza Venezia, Colosseum, Circo Massimo, Monte Savello, Via Della Conciliazione, Ponte Sant’Angelo, Via Ludovisi and Piazza Barberini. Included headsets available in 6 different languages. You can purchase tickets valid for 24 or 48 hours. Read more and book online today. 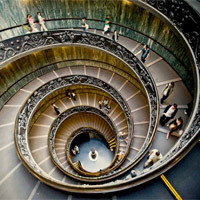 The Vatican Museums and Sistine Chapel are a spectacular and daunting task and many prefer to visit these world renowned museums with the aid of a guide. 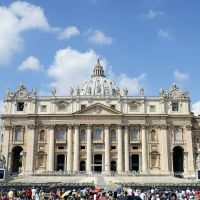 This 3 hour in depth tour sheds more light on some of the worlds most famous frescoes, paintings, sculptures and artefacts including transportation to and from your rome hotel. Book today to ensure availability and any offers that may presently be running. For the more adventurous and should your stay in Rome be long enough to enjoy also the surrounding areas we can offer the perfect solution… a trip to Naples and one of the worlds most visited archeological sites… Pompeii. The fascinating story of the erupting volcano and the mass destruction that it left in it’s quake have been well preserved so that even today we are able to walk among the ancient ruins of this silent city witnessing just how Vesuvius destroyed in a split second the homes of hundreds. 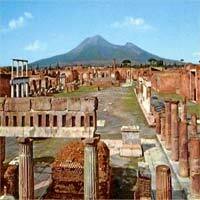 Journey time takes about 3 hours to and from Pompeii and with a quick trip also to Naples this is certainly a long but worthwhile sightseeing excursion. Tired of roaming Rome on foot or stuck in traffic on the bus! Why not try a completely different transport method….a boat! A real dining experience with a choice of menus that ranges from seafood to meat to vegetable dishes and with champagne as a welcome drink, this is a real treat, dining in motion! 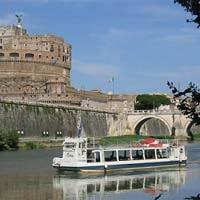 Pass by the spectacular Castel Sant’Angelo and under the bridge to Tiberina island and on up the river in a deluxe motor boat. For something a little different why not try this cruise in the hear of the city centre. All bookings can be made online. Dan Brown is the author of this successful novel based in Rome, and for those who like millions were drawn into the world of the signs and symbols in the eternal city will be only too eager to take a tour that passes by many of the landmarks mentioned and emphasised for their historic significance during the adventurous tale of Robert Langdon. This 4 hour guide leads you on an interesting path by the end of which you should be well informed on the Illuminati and all of their hidden secrets. A real treat for all fascinated by pagan symbolism and Christianity and the mixture of the two to create a disturbing ancient truth. Book now to ensure that you will not miss out on this original tour.